The prime minister knew Iraq had no weapons of mass destruction ready for use within 45 minutes, former foreign secretary Robin Cook has claimed. He said that before the war started Mr Blair privately admitted that Saddam Hussein had no weapons posing a "real and present danger". Mr Cook - who resigned as Leader of the Commons in protest at the conflict - makes his claims in a book based on his diaries, being serialised in the Sunday Times. Downing Street has dismissed the allegations as "absurd". But the Liberal Democrats and a former Labour minister have both predicted the publication of Mr Cook's diaries will spell another tough period for the prime minister. Mr Cook said it became clear that the prime minister did not consider Iraq's weapons an imminent threat when they spoke two weeks before war started. He added that Mr Blair had appeared prepared to go to war regardless of any progress made by UN weapons inspectors. Mr Cook's new book is based on diaries kept during the tense period in the run-up to the conflict. In extracts published on Sunday, Mr Cook also says the head of the Joint Intelligence Committee, John Scarlett, "assented" when he suggested Iraq had no WMD which could target large cities. And he claims that a "large number of ministers" spoke up in cabinet against British involvement in the US-led military action. It was the nearest thing to a "mutiny" he had seen since Mr Blair took office, said Mr Cook, who quit his cabinet post in March in protest at the prospect of military intervention. A Downing Street spokesman said: "The idea that the prime minister ever said that Saddam Hussein didn't have weapons of mass destruction is absurd. "His views have been consistent throughout, both publicly and privately, as his cabinet colleagues know. 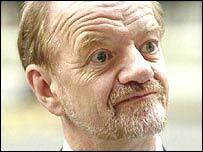 "Robin Cook's views are well known and have been expressed many times before." Liberal Democrat foreign affairs spokesman Menzies Campbell said a full inquiry should now look into whether Britain went to war on a "flawed prospectus". "If these allegations are true they are explosive," he said. "Robin Cook's comments, the failure of the Iraq Survey Group to find any weapons, and the likely conclusions of Lord Hutton's Inquiry will all make for a torrid autumn for the prime minister." Former Culture Secretary Chris Smith, who led opposition to war in the Commons, said the diaries backed up his belief that Mr Blair was primarily motivated by the desire to remain close to the US administration. "If he keeps on insisting, without any sort of qualification at all, that he was right all along and we did the right thing and we haven't learnt any lessons from what we now know, then I fear that the electoral water is going to continue to be very choppy for him," he said. But Work and Pensions Secretary Andrew Smith said that Mr Cook's description of near-mutiny in the Cabinet was "unrecognisable" from the meetings he attended. He told Sky News: "When the prime minister said there was a serious threat, that Saddam threatened his region and world security as well as imposing bloody, brutal and murderous tyranny on the Iraqi people, the prime minister was right." In further extracts from the book, Point of Departure, Mr Cook says he spoke to Mr Scarlett on 20 February, a month before hostilities began. 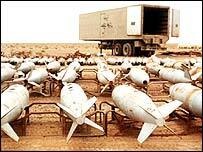 After receiving a detailed briefing on the latest intelligence on Saddam's weapons capabilities, he concluded that the Iraqi dictator "probably does not have weapons of mass destruction in the sense of weapons that could be use against large-scale civilian targets". In a meeting on 5 March, he told Mr Blair he believed Iraq's WMD capability was limited to battlefield chemical munitions which could be used against British troops, but could not otherwise threaten British interests. When he asked whether Mr Blair was not troubled by the prospect of the weapons being used against British troops, he said he received the reply: "Yes, but all the effort he has had to put into concealment makes it difficult for him to assemble them quickly for use." Mr Cook said he was "deeply troubled" by the prime minister's response. "Tony made no attempt to pretend that what Hans Blix might report would make any difference to the countdown to invasion," he said. "Mr Cook's diaries are likely to cause further embarrassment for Tony Blair"